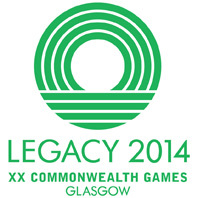 Have we really not seen a volunteering legacy from the Glasgow 2014 Commonwealth Games? Awareness of the benefits of volunteering, both to people that volunteer (happier, healthier and more employable) and to the people that benefit from their activities (across virtually every aspect of life, not just sport and physical activity). The role of family, peers and other key influencers. The amount of time people can devote to it. The availability of suitable opportunities (roles) that match people’s changing aspirations and interests. Real and perceived barriers including strategic systems, Government policies. In respect of the first of these, our indicators strongly suggest the Glasgow 2014 Commonwealth Games were very successful at increasing awareness in the city: unique visitors to the Volunteer Glasgow web site more than doubling between 2011 and 2015. Large scale events – in particular the Glasgow 2018 European Championships – offer opportunities to maintain levels of awareness against a background of increasing pressure on public sector budgets previously invested in awareness campaigns and the volunteering development programmes offered by Third Sector Interfaces (TSIs) and Volunteer Centres across Scotland. The city partners working to achieve a volunteering legacy – and the objectives of the city’s Strategic Volunteering Framework and relevant elements of the Poverty Leadership Panel’s action plan – are also addressing other factors over which they have some influence, but we need the support and co-operation of various levels of Government and a range of others locally and nationally to maximise the impact of these activities: none of them will be possible without widespread involvement in effective initiatives driven by strong partnerships and joined-up thinking. For the first time in 6 ½ years, the Department for Work and Pensions (DWP) in Scotland have been able to publish guidance on volunteering for all welfare benefit claimants in a single document (opens in new tab). The DWP have been able to clarify the UK Government’s position and address many of the questions, fears and concerns posed by people volunteering and receiving DWP support during a very welcome co-design process which we had the privilege to facilitate with partners. The positive impact of this development, however, is dependent on further widespread co-operation to effectively disseminate and consistently apply the guidance. Digital IT systems developed and provided by national partners for Volunteer Glasgow and Scotland’s other TSIs across the country have proven less than adequate in providing effective online services for people to find suitable opportunities that match their interests and availability. Scottish Government have allowed some welcome flexibility in TSI grant conditions, enabling us to adopt and further develop digital services which were first implemented for sports volunteering by Glasgow Life in 2015 using a platform created as a legacy of the Manchester Games in 2002. These should be fully implemented by Volunteer Glasgow for all forms of volunteering in the autumn of 2017 with the continued support of partners. Many TSIs across the country will be very interested in the impact of these developments and their applicability in their own local authority areas. Without increased opportunities to volunteer that are inclusive and that take advantage of people’s offers while providing positive experiences, we won’t have any impact on overall rates of volunteering. Our data in Glasgow suggests clearly that opportunities have not increased in line with people’s interest. In a challenging environment for public and third sector organisations, Glasgow’s partners are sharing best practice and showcasing ideas for the development of opportunities through programmes such as the Alistair Malloy Inspire Awards (opens in new tab). Although it is true that the national indicator used to measure rates of volunteering – the Scottish Household Survey – suggests a reduction in Glasgow for all adults aged 16 and over between 2012 and 2015 and a marked decrease amongst those living in the poorest neighbourhoods (Scottish Index of Multiple Deprivation), the Glasgow Household Survey indicated a small but significant increase over the same period using a different methodology. Also, nationally, we have seen much higher levels of volunteering amongst young people including for those living in the poorest neighbourhoods as measured by the Young People in Scotland survey (Ipsos-Mori/Volunteer Scotland) 2014-17 (opens in new tab). We believe this success can largely be attributed to multiple partners implementing joined up, strategic programmes of activity across schools and youth organisations in the context of Curriculum for Excellence – taking advantage of wider achievement opportunities and national programmes (such as Eco Schools, Sports Leadership Programmes, Saltire Awards, Duke of Edinburgh’s Award, Young Scot Rewards, Active Schools) and specific, locally designed partnership legacy programmes in Glasgow. Begun a stakeholder engagement process in partnership with Voluntary Action Scotland and Scotland’s TSIs – and funded by the Big Lottery Fund in Scotland – to examine what a national recognition scheme for adults volunteering might look like and to explore with national partners thereafter how a scheme might be supported to make a contribution to sustaining a raised profile of volunteering across the whole population. Begun development of our outline plans for introducing a 3rd pledge to the Volunteering Charter, revising approaches to employer supported volunteering and enabling organisations across the private, public and third sectors to encourage employees, service users, customers and members to volunteer if we have seen a successful increase in opportunities. We need to re-examine our culture of wealth and money – and what we value – differently: while employment and fair work is clearly the key way in which any of us can contribute to society and earn a living, if we fail to value unpaid contributions we will also risk undermining our shared efforts to achieve a fairer, healthier, and smarter Scotland. The public discourse and our policy-making often underestimates the value of volunteering – and also the value of other contributions such as those of unpaid carers of family/friends, of kinship carers, parents and grand-parents, and learners. People do make Glasgow – in all these ways – at different times in our lives, but often in all or many of these ways at the same time, many of us juggling them every day or every week. Public policy, commentators and decision-makers need to ensure we don’t undermine one form of contribution when developing and implementing policies to support another: we need them all. Following the Bank of England’s Chief Economist’s conclusions about the value of volunteering (opens in new tab), can we move away from the predominance of indicators such as GDP and instead work together to develop more effective and necessarily sophisticated ways of measuring, valuing and enabling all our contributions? That way, we may still have a fighting chance of working collaboratively to maximise the legacy of the Glasgow 2014 Commonwealth Games and, indeed, the forthcoming Glasgow 2018 European Championships.